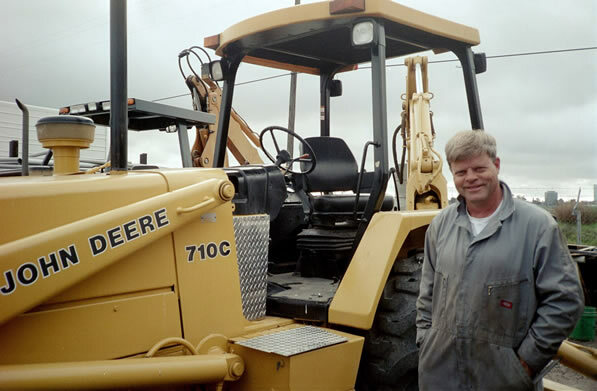 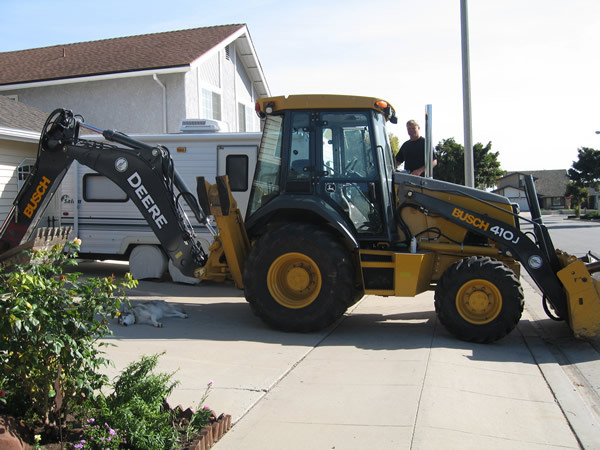 Our John Deere 410J Backhoe is rated Tier 3, meeting all ARB clean air requirements for the State of California. 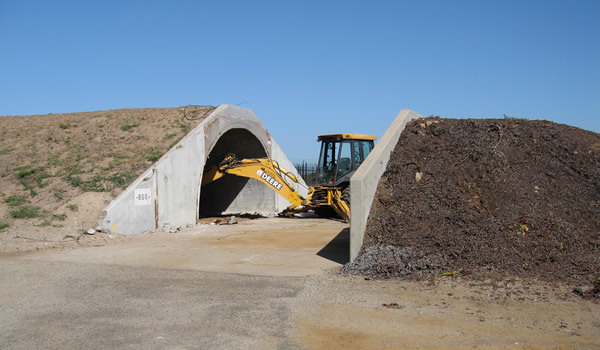 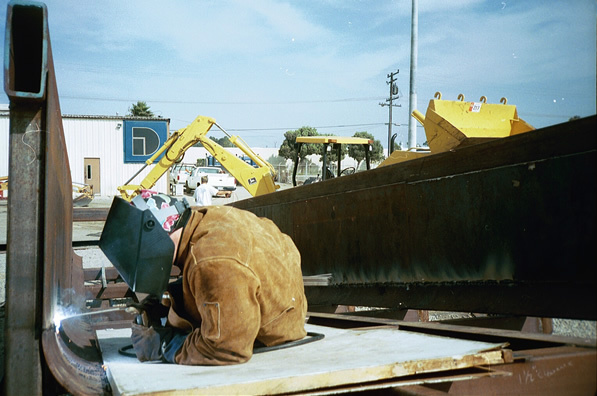 R S Busch Construction has broad experience with demolition of flatwork, footings, swimming pools, walls, underpinnings, complete and partial buildings, gas stations, and Tenant Improvements for residential, military and commercial. 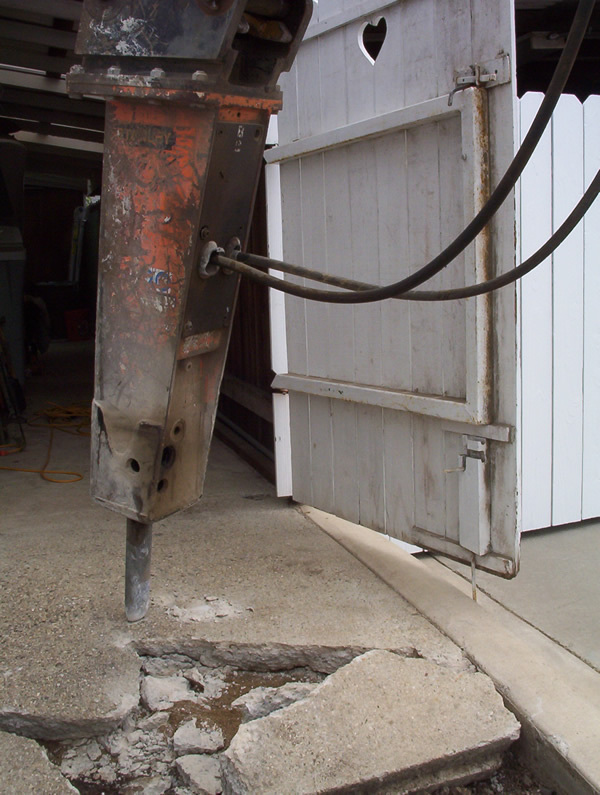 Our custom grapple demo bucket and stucco removing bucket have saved significant costs for our customers. 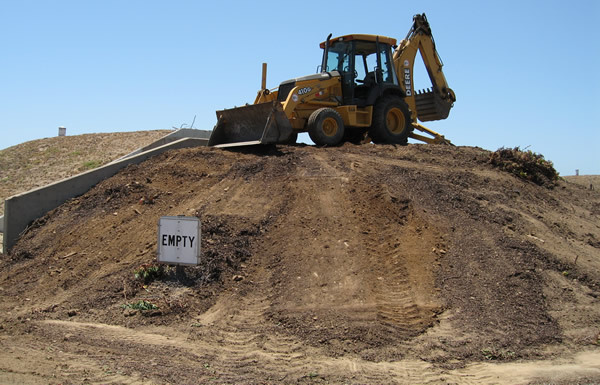 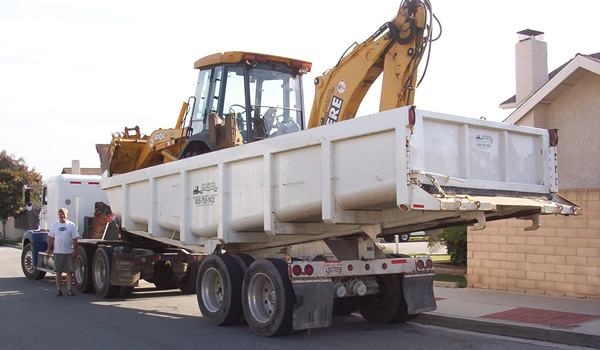 Our customized semi-end dump is the most efficient truck and trailer available for hauling. 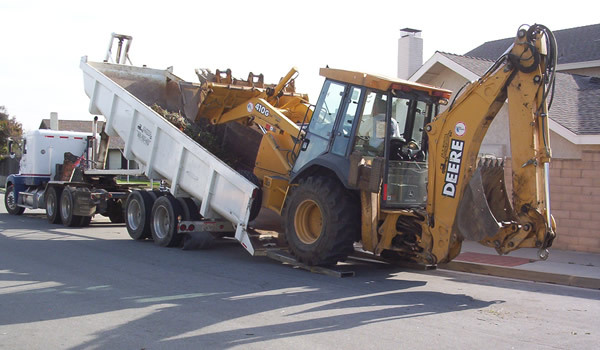 It can legally haul 23 tons per load which saves substantial fees from extra trips to the dump. 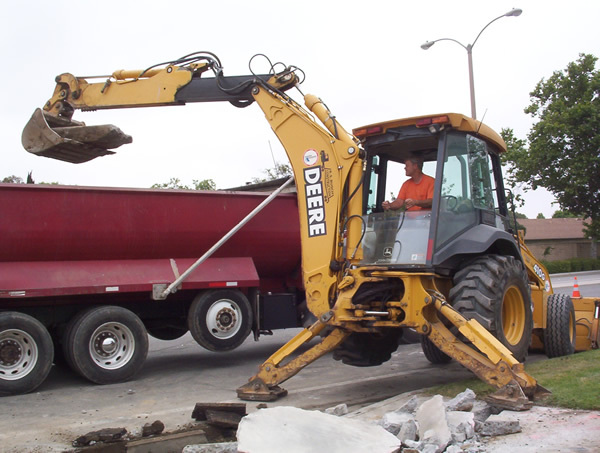 Our backhoes come equipped with hydraulic breakers.